GAT Sport Mens Multi + Test is the complete multi with the male body in mind! 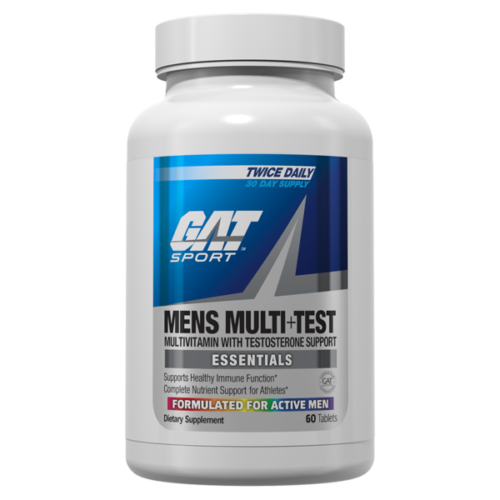 With ingredients to help boost immune system function and testosterone, men can’t go wrong adding this multi to their daily supplement regimen. 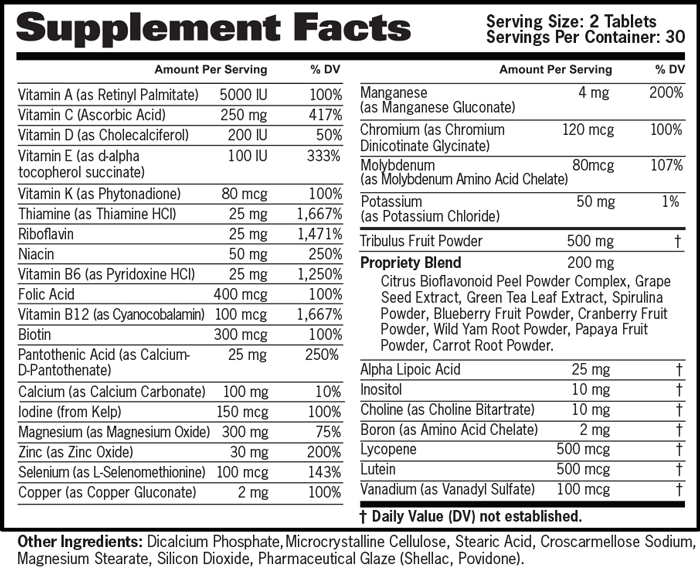 As a dietary supplement, take one serving (two tablets) daily with a meal. This product is only intended for healthy adults over the age of 18. Speak with a physician before use if you are taking medication or have a medical condition. Keep out of reach of children.